Making great picture is hard process, a lot of times due to “some” limitation, we can’t get that look our eyes see or were suppose to be seen by others. I like to shoot into the sun, but I rarely use HDR. I’m always exposing for the ground and as you expect the sky is often blown out, if it’s not, many times there is nothing in that sky, it’s just flat. So what can we do to improve our photos? 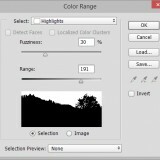 Note: This tutorial was created by Mike Pellinni, a talanted nature photographer we recently interviewed. In it he shares his process for creating amazing sunlit images like these from his portfolio. 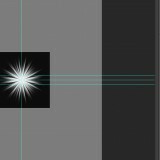 Almost every step I make I convert to Smart Objects to have the ability to add filters and change parameters during any step, retaining the ability to re-size objects without losing details (non destructive editing fanatic). 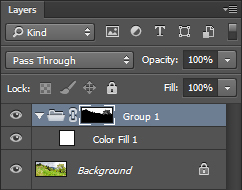 It is a good practice to name your layers, but I don’t (sorry for that) but I think visually it’s readable and hopefully you’ll have no problem following my steps. 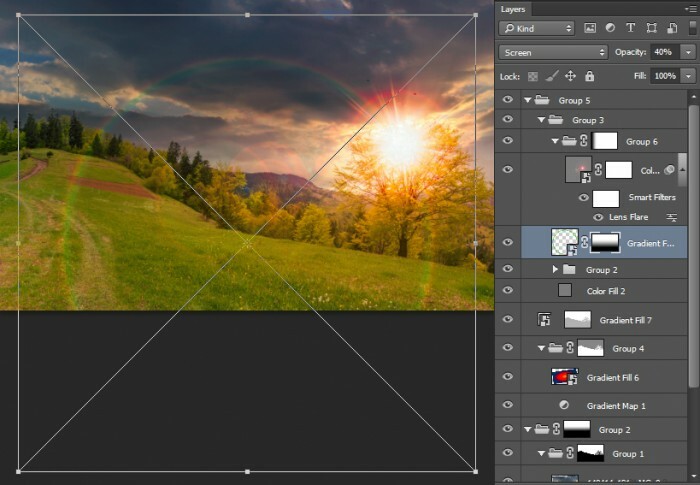 I don’t specify any sizes because it is a Smart Object (Holy grail of Photoshop) and can be re-sized any time, but it’s easier to use if it’s square, and is equal to the longest side of your final image. For myself, I found the perfect document size to be 3663×3663 pixels, You can use bigger, but remember it’ll make it harder for your CPU to render. Prepare sun burst and toning, once and forever. Replace sky and apply step 1. 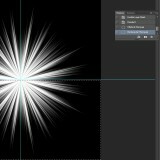 For sunburst, in steps 1…4, I’m using a well known technique similar to what’s described in this article. You can use what you like, using a real image will also do the job. 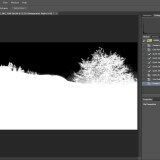 Make Black to White Linear Gradient adjustment layer and convert it to Smart Object. Add wave filter, add polar coordinates and convert all to Smart Object. 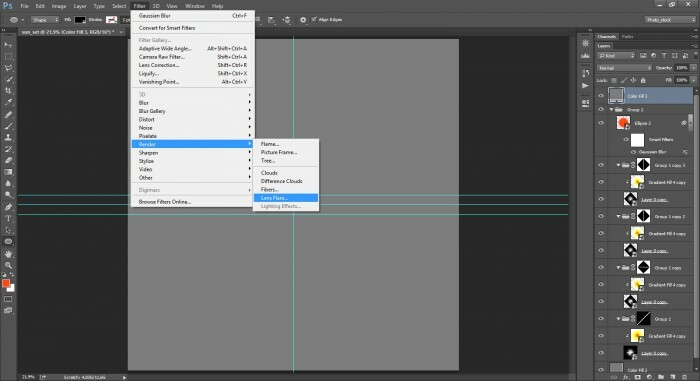 Duplicate smart object via copy, Free Transform ­ vertically and hide the half of it via layer mask, then as usual, convert both layers to Smart Object. 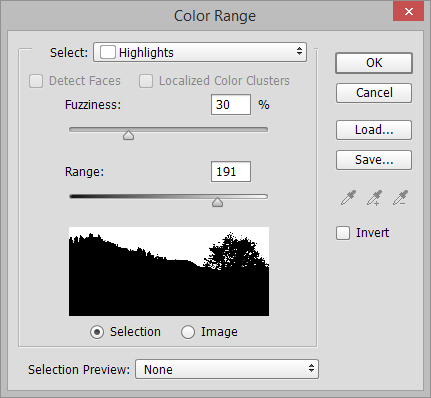 Put Smart Object on a grey (R127 G127 B127) Solid Color adjustment layer. Resize as it will look in your scene. 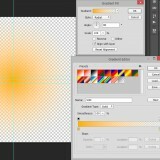 Change Blending mode of Smart Object to Screen. 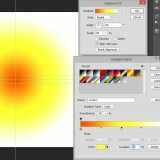 It would be nice to control the color of sun and the size of separate sun rays. 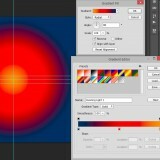 Create a Radial Gradient (Red, Yellow, White) adjustment layer and convert to Smart Object. 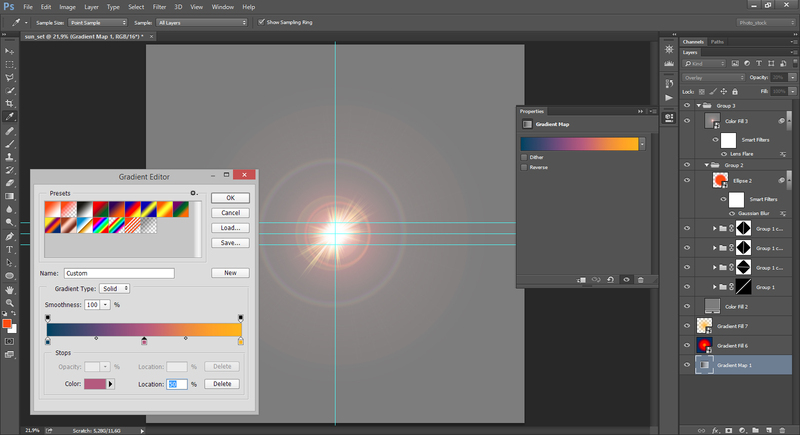 Put it over Sunburst layer and set blending mode to Color, I also set layer opacity to 75%. 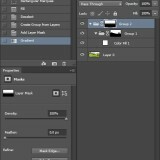 Then Create Clipping Mask and group it with the layer below. 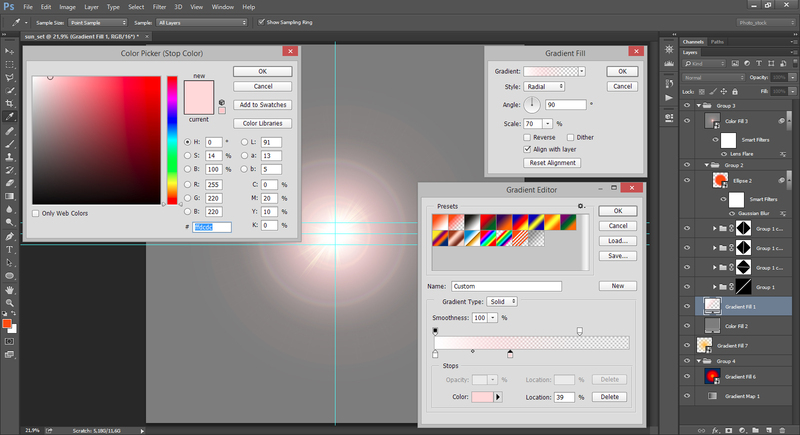 To make sun rays more flexible, mask them on group layer mask. I use a reflected gradient tool for this. 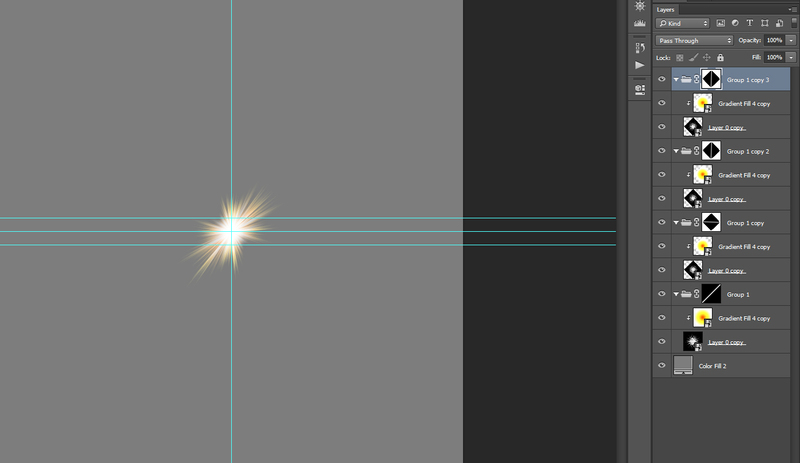 Duplicate Group, rotate and resize it, until you have the whole sun done. 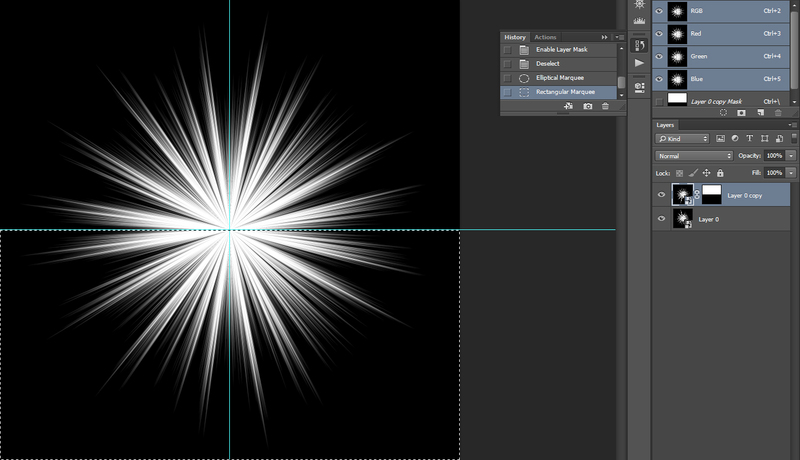 For more realistic effect it’s nice to add flare. Optional. 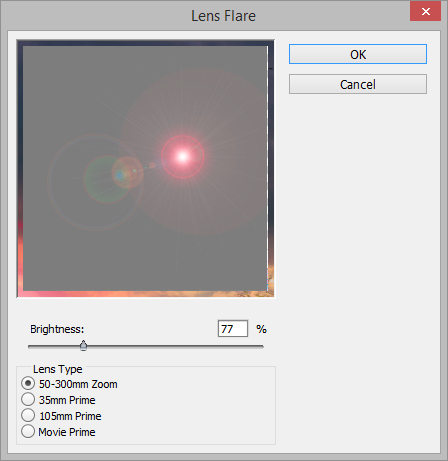 Also I add red ellipse, converted to Smart Object with Gaussian Blur filter and blending mode set to Soft Light and 20% layer opacity, as initial flare. Group all layers with sun rays and initial flare ellipse. 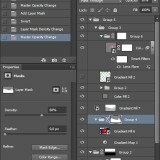 Create a grey (R127 G127 B127) Solid Color adjustment layer, add Lens Flare filter and change blending mode to Hard Light. 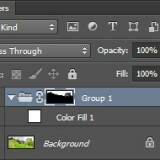 Group all layers and set blending mode to Hard Light. The next few steps are for image toning. 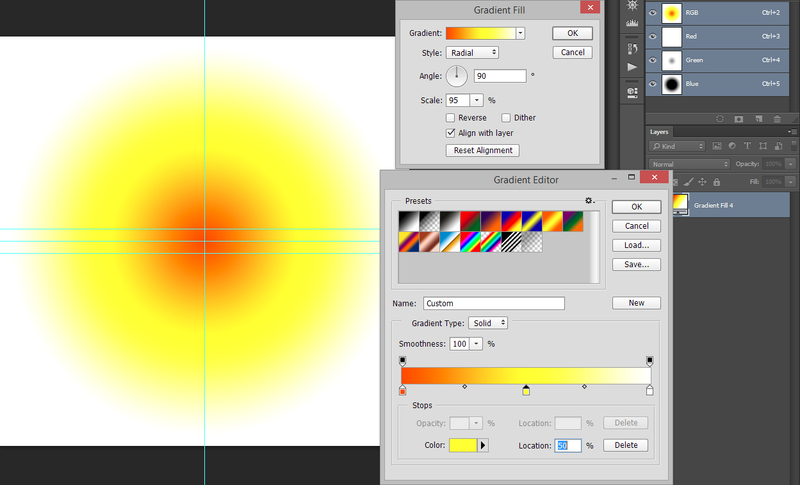 We’ll need Radial Gradient (Yellow, Transparent) adjustment layer to emulate sun glow. 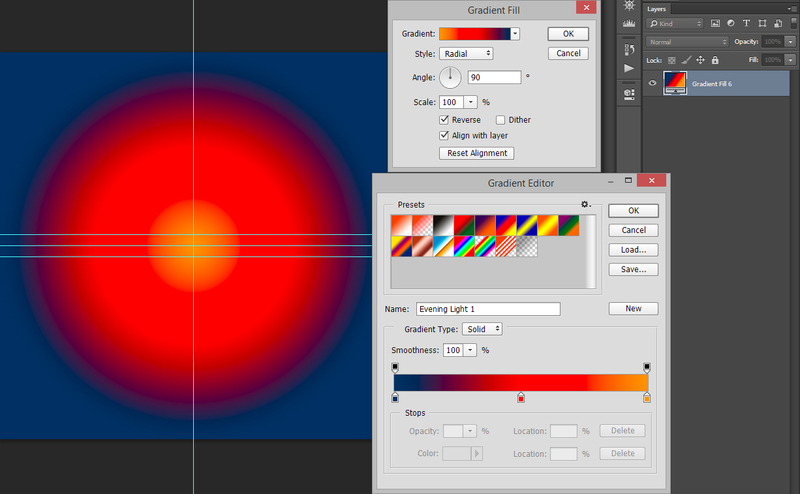 And Radial Gradient (Navy, Red, Orange) adjustment layer for toning. You probably have guessed, both layers are Smart Objects. 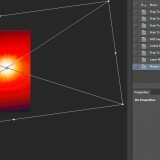 For more realistic feel add Gradient Map (Navy, Purple, Orange) adjustment layer. 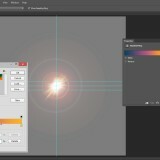 Put all 3 layers below Group with Sunburst and group two toning layers together. 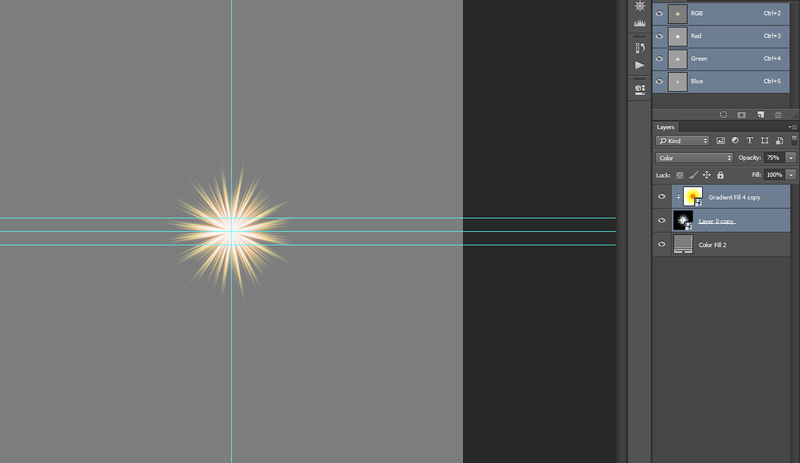 Optional Sunburst decorating ­- I like different glows and flares. Put them at the bottom in Group with Sun Rays. 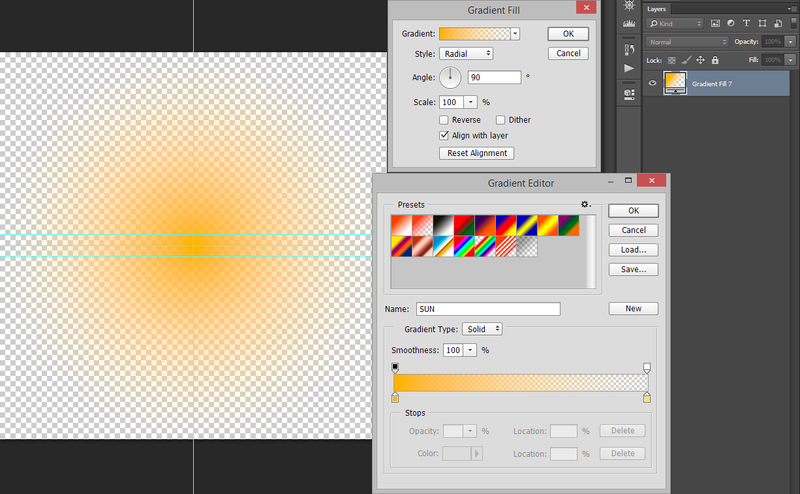 Add Radial Gradient (White, Pink, Transparent) adjustment layer as Smart Object then Blending mode Screen, Opacity 30%. 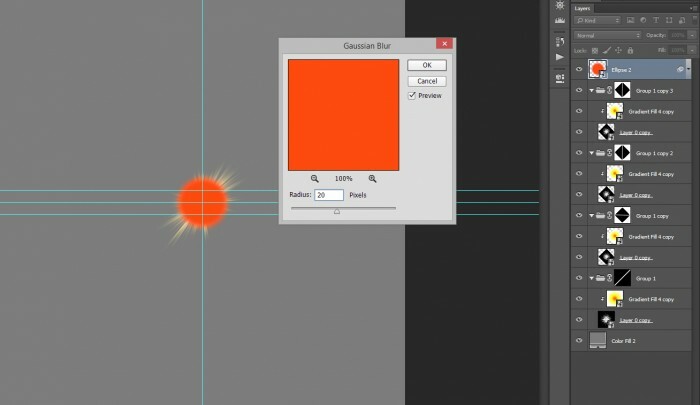 Ellipse with orange stroke as Smart Object with Gaussian blur to be our Sun disc. 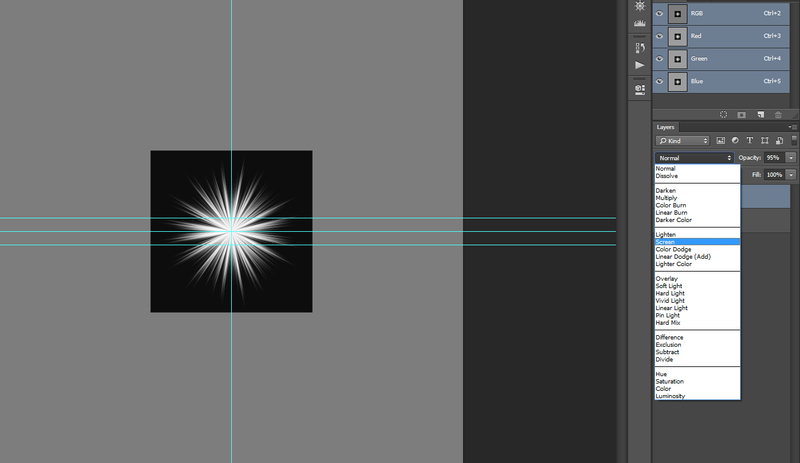 Put it over the Group with Sun Rays and set Blending mode Screen, Opacity 20%. Finally we can save it to a file. P.S. this technique can be recorded as an Action, but for me it’s easier to load a 215Mb file. 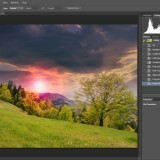 To create a mask for the sky I use this old school technique combined with Refine Edge tool. 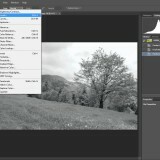 Or you can check out the Isolation methods in Photoshop tutorial on MyPhotoCentral. 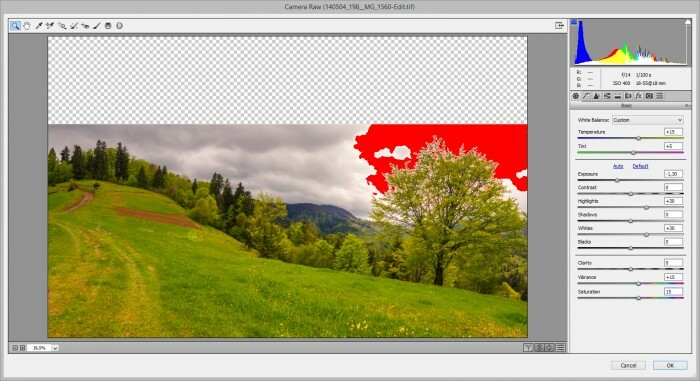 Open an image and duplicate the Background layer. For perfect selection we need maximum contrast between sky and ground. 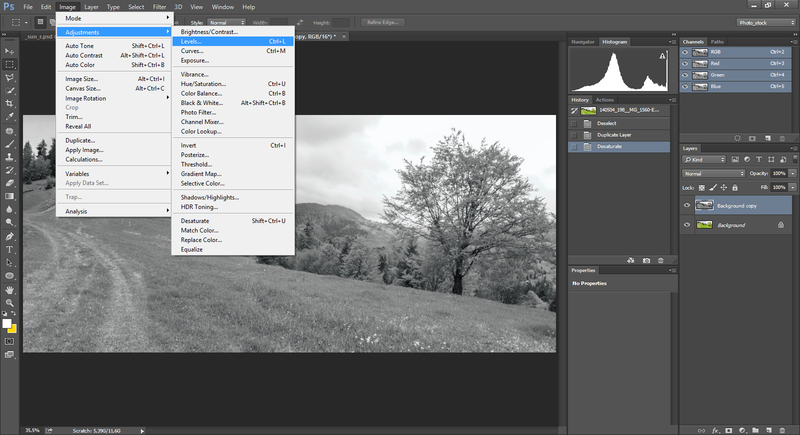 I simply Desaturate layer and add contrast with Levels so that it become pure Black&White. 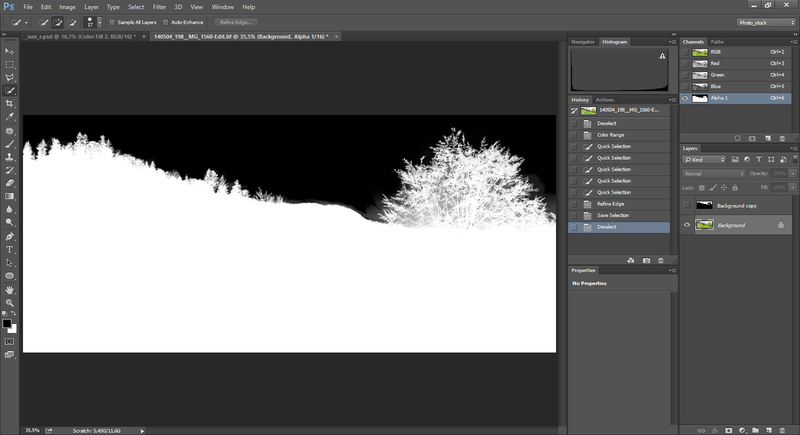 Then with a Lasso tool or with a brush I clean black areas in the sky and white on the ground. 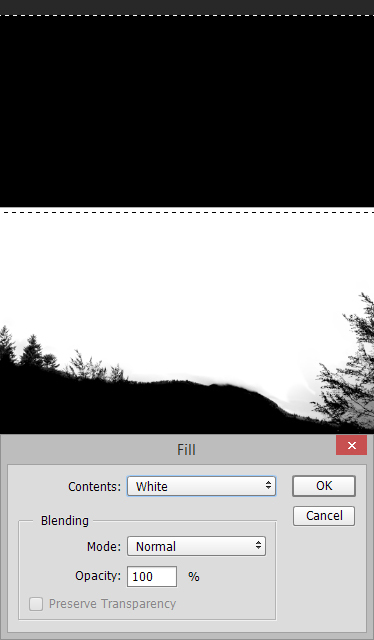 Then we select white sky area, it can be done with a Magic Wand or a Quick Selection tool, but with Color Range tool you can get more a precise selection. Even so, sometimes I need to correct selection with Quick Selection tool. In most situations you’re done, but what if you have thin objects like branches of tree? 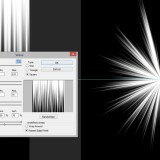 Here the Refine Edge comes to play, its powerful yet easy to use tool. Turn on Smart Radius and brush out all edges. Save it as Alpha channel, we’ll need to do it a few times. 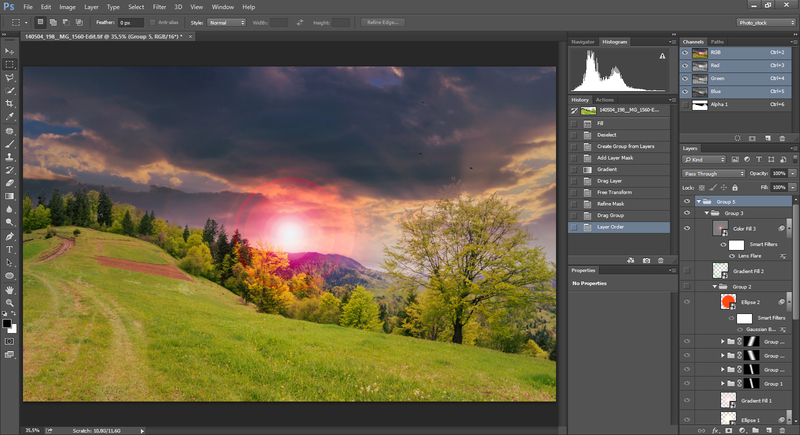 Create a group, apply our sky Alpha channel as a mask and create white Solid Color adjustment layer inside, it’ll serve as a base for placing the sky. Optional. 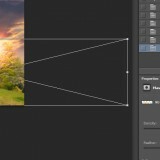 After creating sky Alpha channel I usually re-crop images so the horizon is in 1⁄3 or 1⁄2 of image. 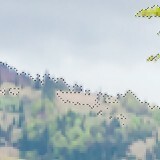 After crop is applied you’ll have to slightly modify your mask so that it is white to the top of the image. 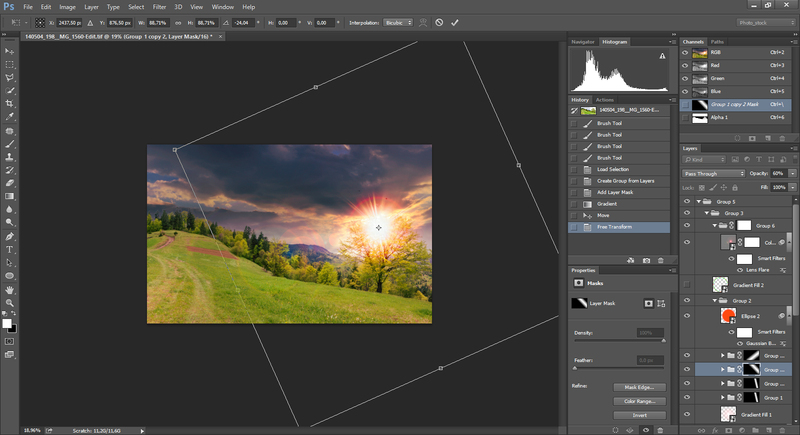 Put our Group with Sky mask into new Group and make mask with Gradient fill from the lowest point of your horizon line to it’s highest point. 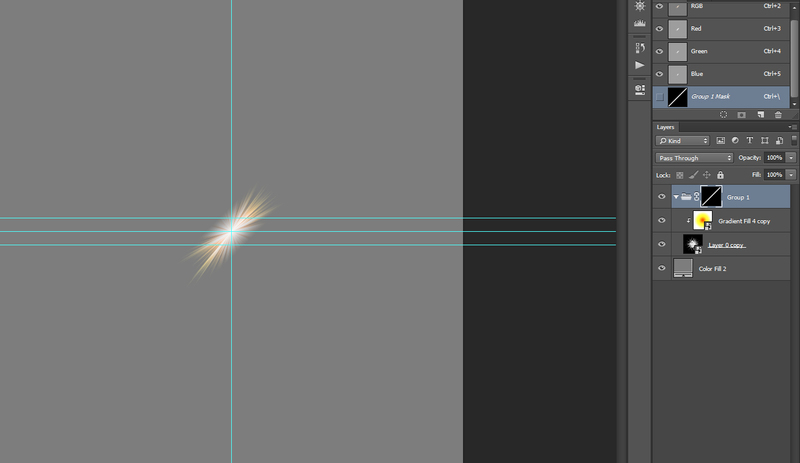 This way we ‘softly’ blend ex sky with the new one, it also gives us the ability to correct blending manually. 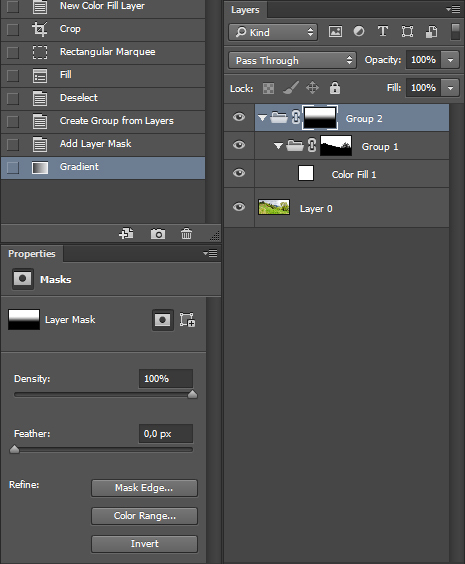 (Tip ­ You always have the ability to modify Layer Mask Density in Properties panel or with a brush). 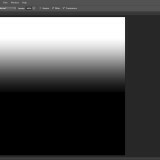 So we’re done with Sky preparations, now we simply need to put sky over that Solid Color adjustment layer base inside Group with Sky mask. 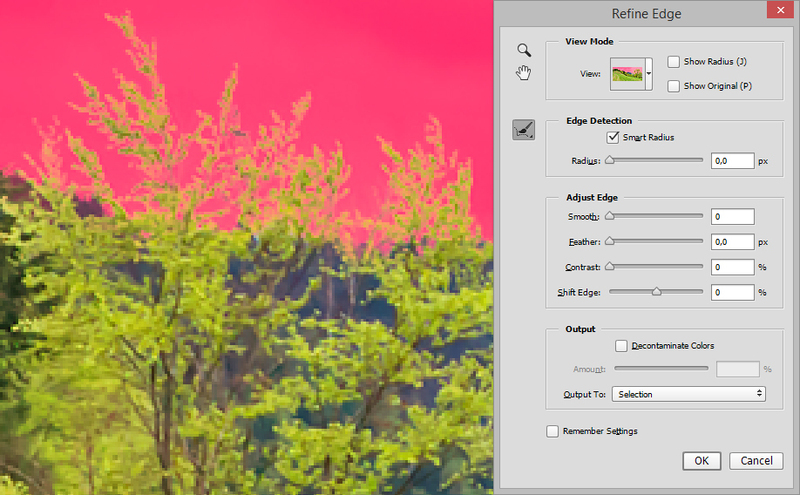 Once you place a Sky image you can notice a hollow around branches (usually on dark skies), don’t worry it can be fixed by modifying Group Mask with Refine Edge ­ Shift Edge +30. 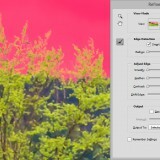 Open Smart Sun file, drag&drop it’s layers on the top of your landscape. 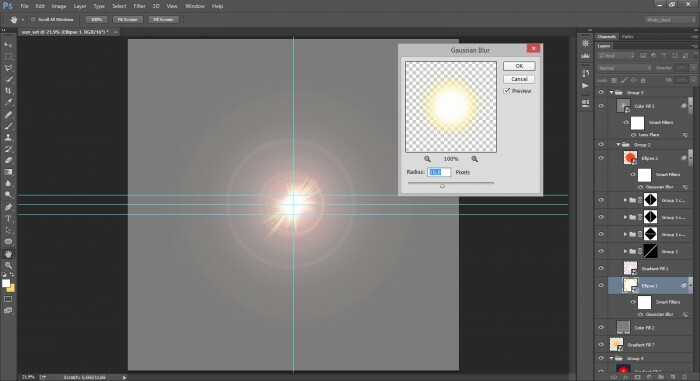 Turn on the Sun Group, Move it to flare position, resize and rotate separate groups with Sun Rays to match Flare and overall Light of the image (real Sun rays in sky if you will). 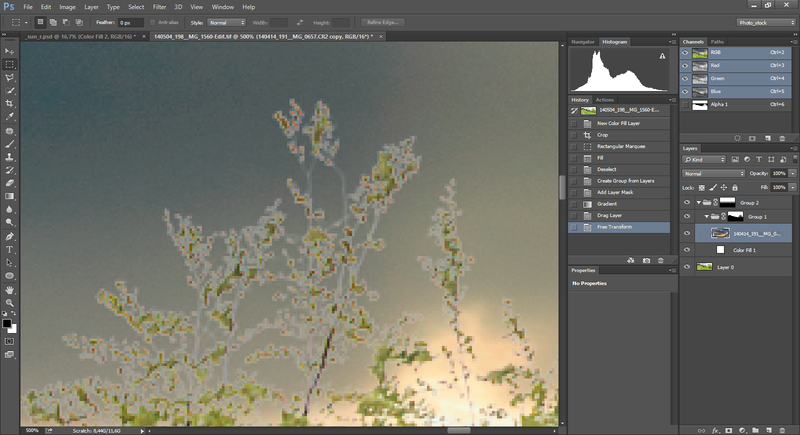 Now we apply SunGlow Layer (s.1/11) adding Sky Alpha channel as a mask and unlinking it. 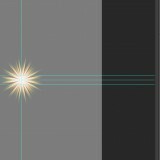 With Free Transform tool place it inline with Sun, but a little bit lower, stretch the layer to width of a document and height to match the height of Sunburst. 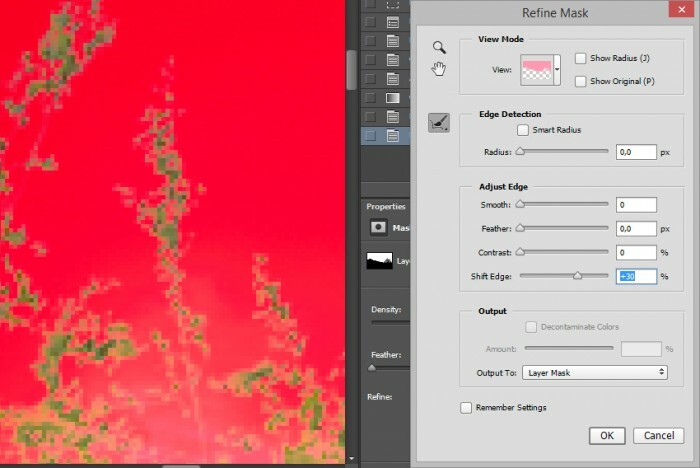 Change the Layer Mask density and Layer opacity to 30-­40% and 30-­50% respectively. Next One is Gradient Layer for Toning (s.1/12). With Free Transform tool center it according to Sun then Scale and Rotate it to match Lens Flare direction and fill the entire document. 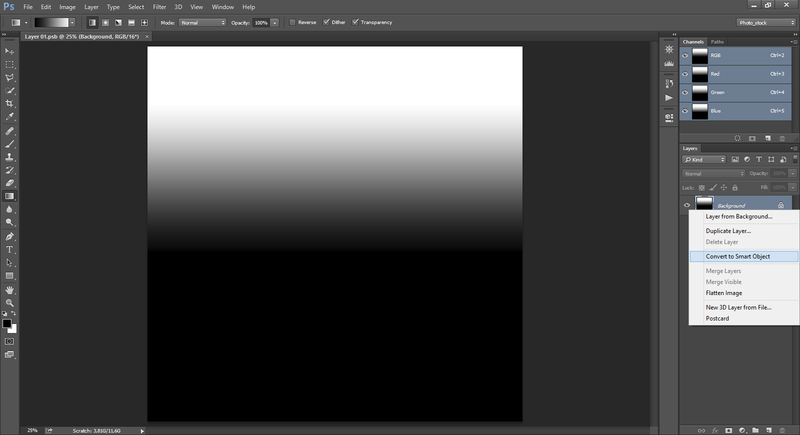 Set blending mode to Overlay and 30% Opacity. Too much Color toning..? but more is better, You can decrease it any time. 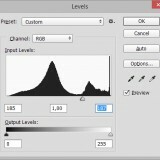 Load Sky Alpha channel, invert selection and apply as a mask to Group with Toning Layers. 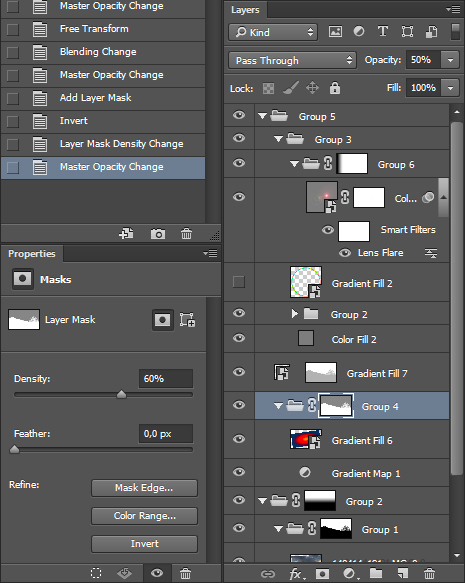 Change the Layer Mask density and Layer opacity to 30­-40% and 30­-50% respectively. 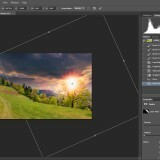 The final step is to balance the exposure between sky and ground. So duplicate Background layer and apply Camera Raw filter, make White Balance warmer. Underexpose but bring up Highlights, Whites and some saturation for details. 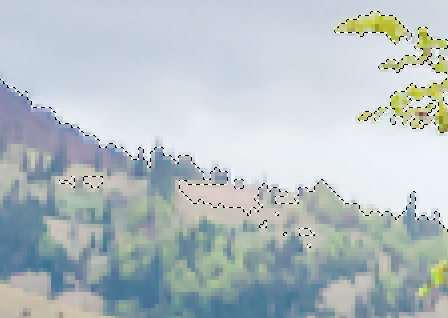 Drop layer opacity to 40%-­60%. 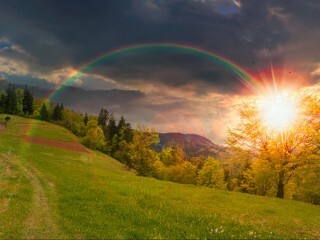 Almost forgot ­ the rainbow. Turn on the layer, with Free Transform place it wherever you want and Scale it so that 1⁄2 of it is standing on the ground. 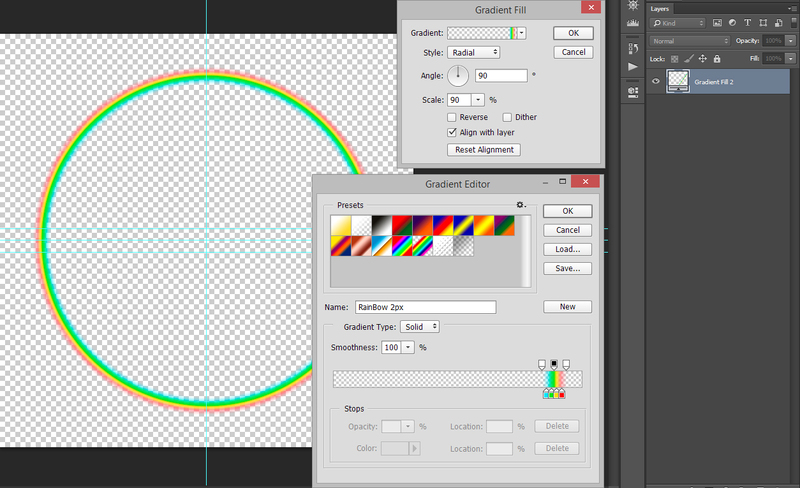 Apply linear gradient on layer mask, from ground to 1⁄2 of rainbow height. This entry was posted by Mike Pellinni.